Oh look what’s come around again. All girl tunes played by me & the lovely Ms Tukru. Free zine and cake. Zine stall of lovely stuff. A good time had by all, hopefully. 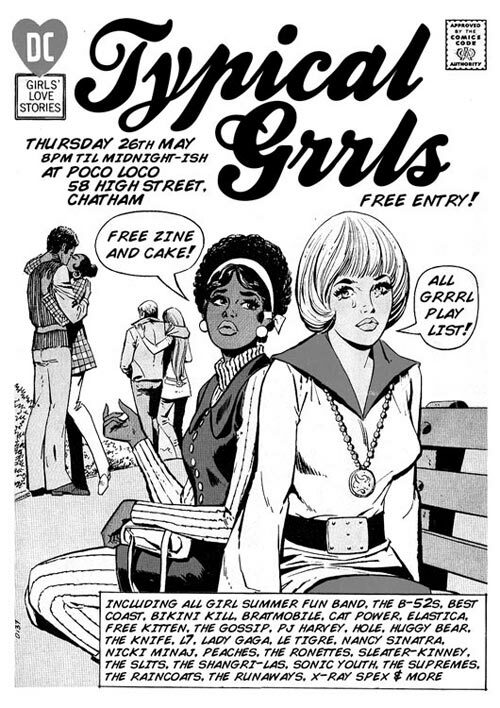 Thursday 26th of May, Poco Loco, Chatham, UK. Free entry. Thursday special drinks from £2. Facebook Event run by Ms T, cos I got fed up of Facebook.